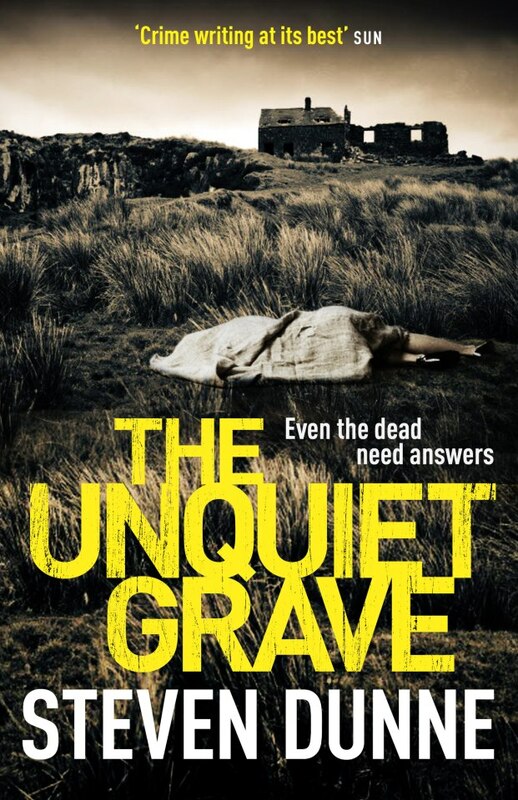 Steven will be signing copies of his latest thriller, The Unquiet Grave, just two days after it is published in July. You can catch him at Waterstones in St Peter’s Street, Derby, on Saturday July 6th from 11am to 3pm. Steven will be happy to chat to you about his work and to sign any copies of his book. Details of the event can also be found on Waterstones’ website here or by ringing the shop on 01332 296997. The wait is over! The fourth novel in the DI Brook series was published in hardback and Kindle on July 4th. You can order the book from Amazon by clicking on this link or you can find it in most good bookshops. You can also buy an unabridged audio version here. The Cold Case crime department of Derby Constabulary feels like a morgue to DI Damen Brook.